Is Sony’s Venom bad? Early reactions are in! So, Monday night was the premiere of this Friday’s much anticipated, Sony/Marvel’s Venom, starring Tom Hardy as an anti-hero. And taking in consideration the latest reactions from several eminent critics and film experts who have watched it yesterday, the film is-according to their reactions-tilting towards an average side. The movie is directed by Ruben Fleischer, and apart from Tom Hardy, stars Michelle Williams, Riz Ahmed, Woody Harrelson and Jenny Slate. The film was initially rumored to be an R-rated flick, when it was announced last year that Tom Hardy is starring in a project which is R-rated. But as the release date gradually came closer, it was revealed to the fans, by Sony Pictures, that the film in actual is a PG-13 flick instead. 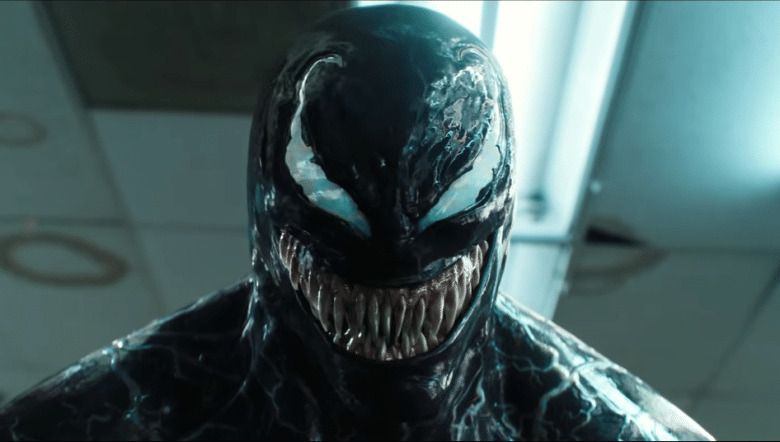 The initial teasing trailers were also slammed by many die-hard Venom lovers who criticized the film for not revealing the Venom look. But their demands were fulfilled by successive, new, trailers in which Venom was seen in full action, and even some cool clips were also released from the film. Though, some curious eyeballs were skeptical about this Marvel film under Sony, as they knew what happened to Sony’s previous Marvel ‘film franchise idea’, like the unforgettable The Amazing Spider-Man movie series. Only their new Spider-Man (Tom Holland), who is now again rebooted (thanks to the MCU impact), is a big name among the fans of Spider-verse at the moment. Sony also wanted to create their own franchise akin to MCU or other contemporary Marvel film franchises. Well, it now seems as if Venom, too, is under suspicion now! Must Read: Disney will bring MCU’s lesser-known characters to it’s streaming service! If you want to know what people are thinking about Venom and their reactions after the early screening, then you can proceed by scrolling down. They are not spoilers, just opinions of some critics, at the moment. Who knows if the film gets a boost after it launches officially on Friday. Significant chunks of #Venom don’t work *at all* but there is some serious charm to the Eddie/Venom relationship. Not sure I had the intended reactions to some scenes but fun is fun – even when it’s totally ridiculous, right? It’s too bad they didn’t go for the R rating though. Action-sequences and Eddie and Venom’s odd relationship are the highlights of #Venom but if Sony wants to move forward with a universe, it needs to just keep the few parts that work and scrap the large portion which does t.
Tom Hardy’s performance in #Venom is either Johnny Depp in the first PIRATES OF THE CARIBBEAN or Chris Klein in STREET FIGHTER: THE LEGEND OF CHUN-LI. Either way, it’s not boring. I’m *fascinated* with VENOM. The cast seems to all know they’re in a darker superhero movie, except Tom Hardy who is basically remaking Jim Carrey’s Liar Liar. I kinda loved watching this movie, in a Rocky Horror type of way. At one point Tom Hardy and Venom make out. Sorry to say that #Venom is pretty much a complete failure – a tonal mess that feels 15 years old, ignoring the storytelling strides that the superhero genre has made in recent years. A few fun Venom-centric moments aside, it has nearly nothing to offer. Don’t get your hopes up.